This beautiful ring set in Sterling Silver has a teardrop Meteorite slice set under a piece of Quartz. 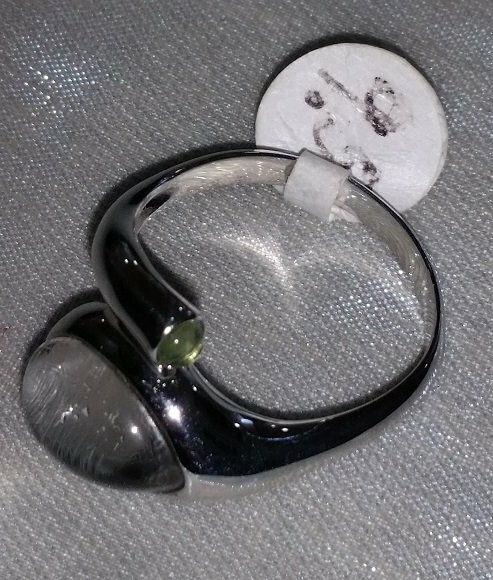 There is a Moldavite cabachon at the end of the metal used to form ring settingl. The Meteorite is Muonionalusta which is an Iron, Fine octahedrite and found in Sweden. The ring is a size 9.5.